You hear all the time about people who managed to build their own tiny houses despite having no or little construction experience. For many, this is the ultimate tiny house dream. But how realistic is this option? Is it something you could actually do or would you be completely out of your depth? The first and most admirable option is to buy some plans or have them made, devour construction books, absorb half of YouTube, and then build your new home from scratch using your own two hands. This is an exciting option and probably the one that most would-be tiny house owners start out believing they will pick. Here are the main reasons to go this route. As you'll be working for free, you should be able to build your tiny house yourself for less than it would cost you to hire someone else to build it for you. You'd only need to pay for materials. I spent over $12,000 on labor for my tiny house build, so that's an expense you would cut out right away. Whether you have a background in construction or you're a complete newbie, you're guaranteed to pick up some new skills when building your own tiny house. With no one around to help you, you'll have no choice but to learn how to screw a screw in straight or to work out how much clearance you need. If you've always wanted to learn construction, going DIY might be a good choice. Can you imagine being able to tell your friends you've built your own house? You'll definitely deserve to feel proud of yourself if you manage to build the whole thing on your own. If you design and build your tiny house yourself, without buying premade plans, you'll know that your home is one of a kind. Every nook and cranny will be perfectly tailored to suit you and your life. Personally, I love knowing there's no house out there exactly like mine. The second option is to hire someone – a builder or a carpenter, for example – to help you build your tiny house. You could either hire someone to work with you or you could hire someone to build your tiny house for you. Regardless of your experience level, the chances are you'll need someone else to help you build at some point. Sometimes constructions demands two people. For example, you might not be strong enough to hold something in place with one hand and attach it with the other. Even if you just hire someone to help you out occasionally, having that extra pair of hands will make certain tasks a whole lot easier. If you go it alone, you'll be learning as you go, so you'll probably make mistakes. These mistakes will cost you time and possibly even money. However, if you hire a professional with years of experience who knows what s/he's doing, you'll be able to avoid those mistakes and get more done in less time. Would you rather save a bit of money by not hiring an expert or have to undo and redo your work time and time again? 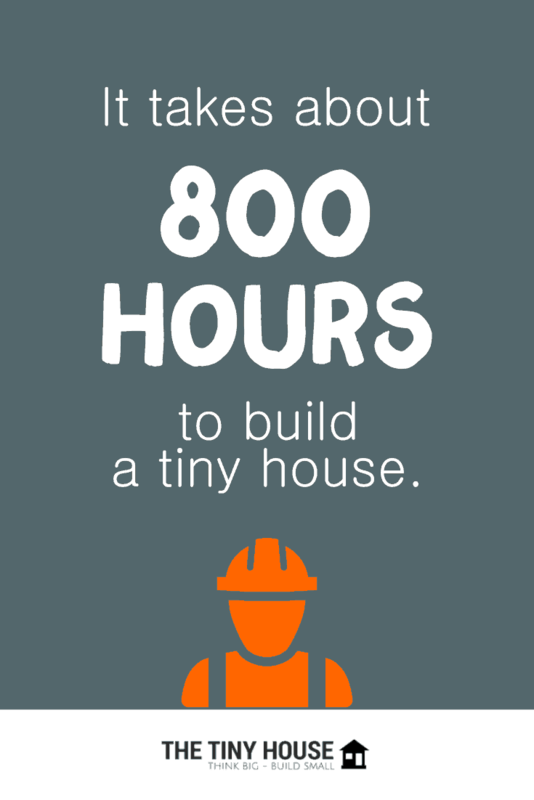 A tiny house takes about 800 people hours to build. If you do all of those hours yourself, it's going to be a long time before you move into your tiny house. If you were able to put in twenty hours a week, it'd take you about forty weeks – almost a year. But if you split those hours with someone else, you could move in a lot sooner. If you each work twenty hours a week, you're looking at around twenty weeks, which is about five months. My build took over a year with hired help. Imagine how long it would have taken if I'd been doing it alone. If you earn more per hour than a builder charges, it could definitely make more sense to split the workload. If you hired a builder to free you up to work, each hour that you work would pay for the builder and then some. There were several points during my build that I was about ready to give up. Having someone to whom I was accountable saved me from abandoning ship. If you hire someone to work alongside you, you'll be much less likely to throw in the towel, partly because you'll feel accountable to them, but also because of the money you'll have invested in hiring them. The third option is to buy a pre-made tiny house, whether brand new from a tiny house manufacturer or second hand from someone who no longer wants theirs. 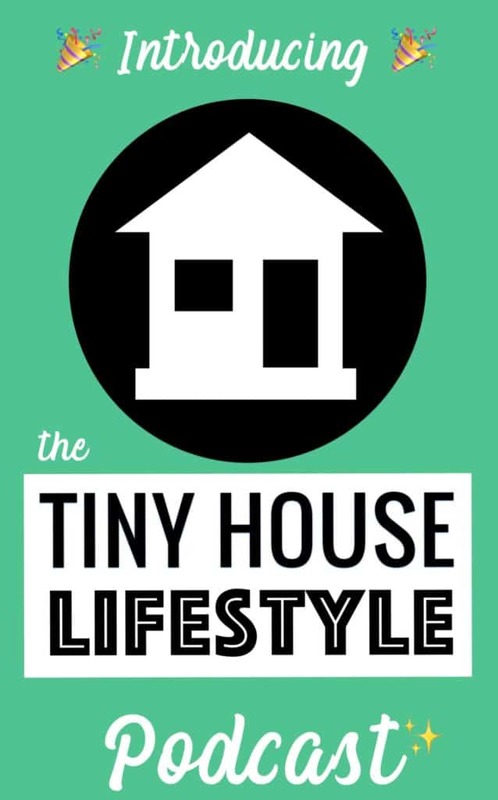 The Tiny Retirement Tiny House from Tiny Home Builders. Of course, the main benefit of buying an existing tiny house is not having to build it yourself. If you're not physically capable of building a house, whether that's because you have a disability, you consider yourself to be too old or young, or just because you're really clumsy, outsourcing the construction of your tiny house will be the only way to get one. Premade tiny houses are built by professionals who know exactly what they're doing. They've spent years working out the most efficient, safe, and practical ways of building tiny houses, so they know what works and what doesn't. You can therefore trust that whatever they produce will be of a much higher quality than anything you could build yourself. You can sleep easy at night, knowing your roof won't cave in on you! If you need to work full time, it's going to take you a very long time to build your tiny house. If you don't want to wait years and use up all your weekends during the build, buying makes a lot of sense. 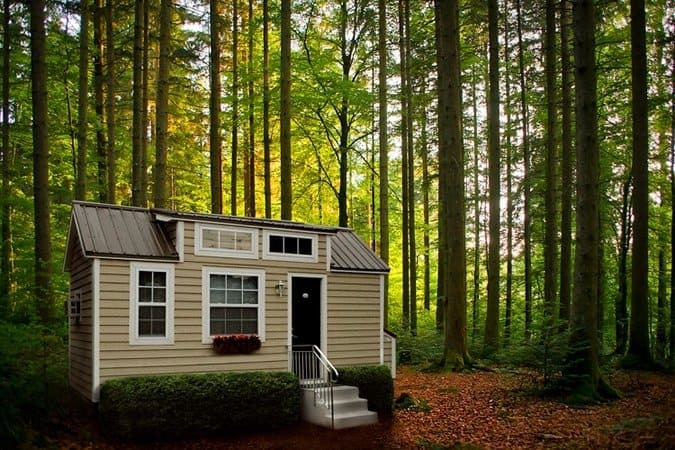 You can order your tiny house to be delivered in a few months and move right in, without sacrificing any weekends or pouring years' worth of income into paying the rent or mortgage on your current place. Are you genuinely interested in learning about P-traps and R-values? Do you want to spend your weekend weighing up the pros and cons of spray foam, and wool, and fiberglass batts? If swotting up on SIPs and stick framing doesn't sound like your idea of fun, admit that to yourself. There's no shame in not being truly open to learning about construction. Building a tiny house sounds like a cool thing to do, but if the reality is even slightly off-putting, it might be a good idea to quit while you're ahead. 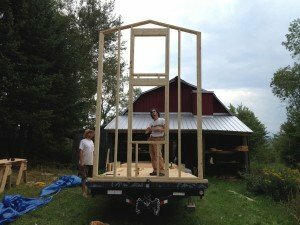 Building a tiny house takes a lot of work, education, and skill development. Buying a tiny house does not. If learning isn't your thing, buying might be the better option. 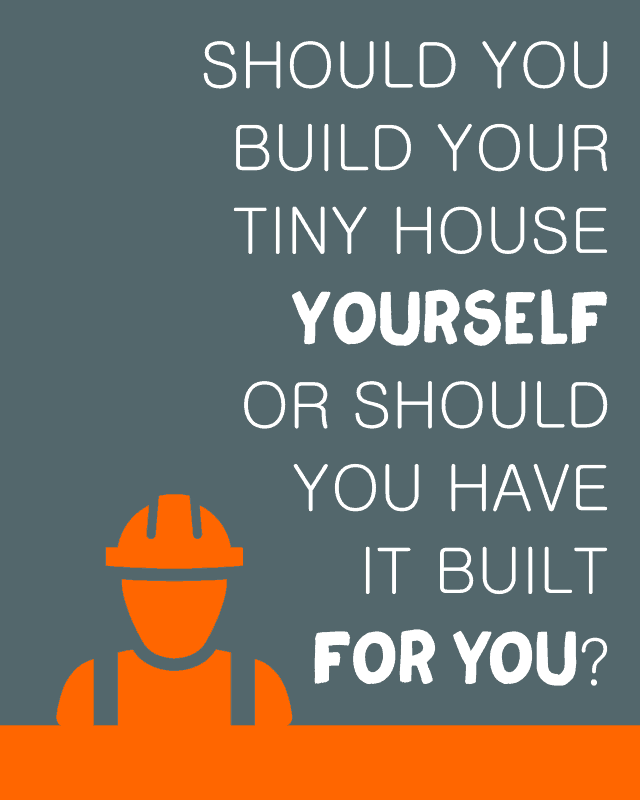 You could compromise by buying a tiny house shell or kit and completing the build yourself. Shells usually include the trailer, the framing, and the sheathing, but they can include much more if you want. By buying a shell, you would build your tiny house yourself but you wouldn't have to build the whole thing from scratch. You don't have to build an entire house from scratch to get bragging rights. 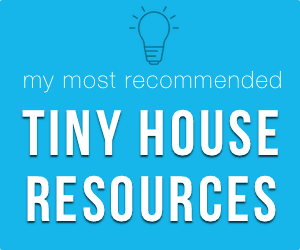 Even if you buy a tiny house shell or kit, you'll still need to do a lot of work on your tiny house, and you can be proud of that. Take photos of the house when you get it and document the transformation, to show your work to anyone who doubts you! 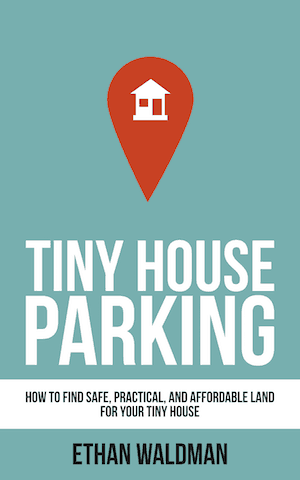 If you buy a tiny house shell from a reputable manufacturer, you can rest assured that you're getting a high-quality house that won't fall apart. The parts you do yourself will likely not be as important, so it's less of an issue if you make a mistake. When you buy a shell or a kit, your tiny house structure will be the same as many others out there. But there's plenty of room to make it your own. You'll be able to choose all the finishing touches yourself and make it somewhat your own. You can shave months off your build time by building the shell. You probably won't need to worry about the seasons as much either, as you'll be able to work from inside the structure a lot of the time. 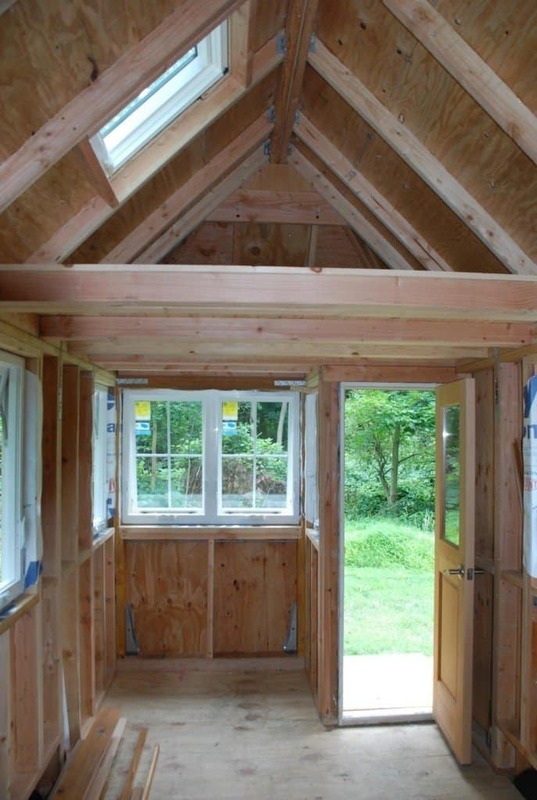 One of the first things you learn when building a tiny house is that it's all about making trade-offs. You have to figure out the best insulation material, the best roofing material, and so on. When part of your tiny house has been built for you, you don't have to make as many of these decisions because someone who knows more than you has already made them for you. I'm not ashamed to admit that I had no idea how much work it would take to build my tiny house back when I first decided to do it. Even as someone who had always wanted to learn construction, the learning curve was overwhelming at times. Before I started, I was scared I wouldn't be able to do it all myself, but I wanted to be completely self-sufficient and prove that I was a capable person. Building my house taught me that I'm not someone who can take on big projects like this alone. I'm a fast learner and I can figure out a lot of things on my own, but I still need a teacher. Unless you have a background in construction, you probably do too. A friend who used to work in construction offered to help me build my house. He said we could probably get it done in three or four months. However, after a while, it became clear that he couldn't commit to the project and I soldiered on as best I could. I wasn't getting very far though and I was at risk of giving up. So I decided to hire some help. I posted an ad on Craigslist and soon heard from a carpenter called Jason. It sounded like Jason had the right background and I loved his enthusiasm for the project, so we set to work on the house together. He would work for one day, showing me how to do whatever we were doing at the time, and then I'd get on with that for a few more days on my own. It was a great balance between doing it myself and getting help. 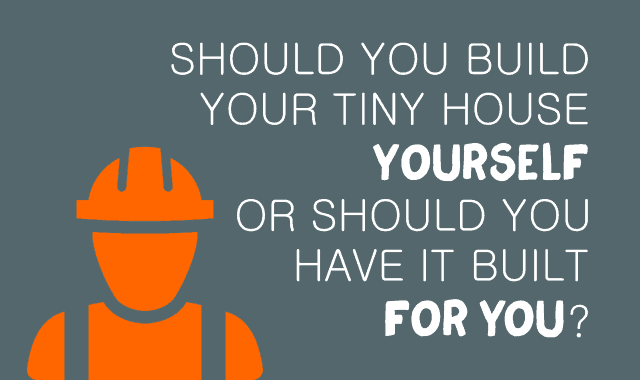 Should You Build Your Tiny House Yourself? The biggest decision you'll have to make when it comes to tiny house living is whether to build or buy your new home. Building your own house is a romantic idea, but it's crucially important that you think about what doing this will actually take. Research the construction process to find out as much about it as you can. Then ask yourself the following questions. Can you really do it yourself? How will you learn the skills? Are you willing to invest in high-quality resources that will teach you what you need to know? What will you do if you get stuck? Who will you call when you need a second pair of hands? How will you trust that what you've built is safe? I don't regret my decision at all and I don't think having help cheapens the experience. I still built my house and it's much better than I could have made it had I worked alone. Hiring help was the best decision I could have made. What's the best option for you? 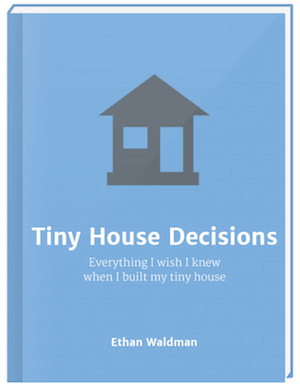 Don't forget to check out my comprehensive (and best selling) resource, Tiny House Decisions for a more complete discussion of this topic along with MANY more decisions you need to make for your tiny house!